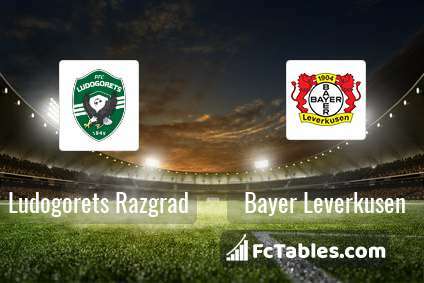 Match Ludogorets Razgrad-Bayer Leverkusen Europa League the fixture is set to kick-off today 19:00 on Ludogorets Arena. Refereee . 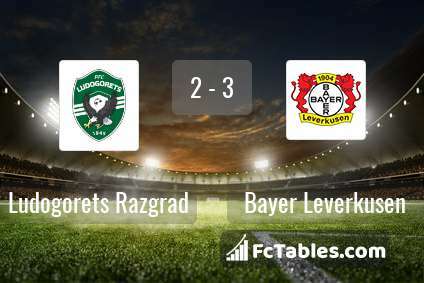 Team Ludogorets Razgrad is at the top place in the table (1 place). 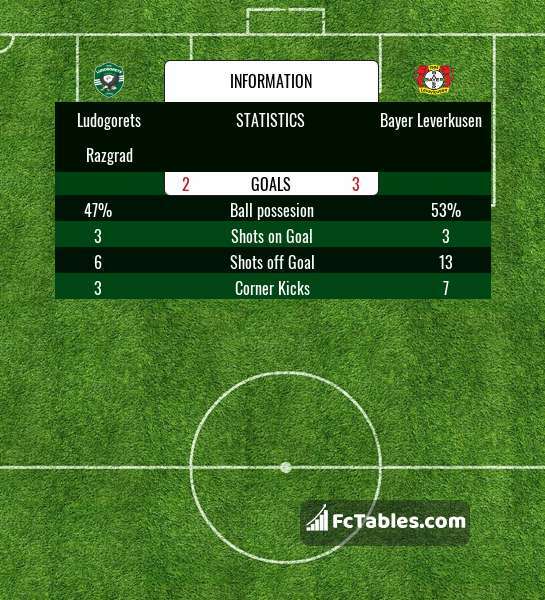 In 5 last games (league + cup) Ludogorets Razgrad get 10 points. The most goals in Europa League for Ludogorets Razgrad scored: Wanderson 2 goals, Gustavo Campanharo 2 goals, Virgil Misidjan 1 goals. Players with the most assists: Wanderson 2 assists, Virgil Misidjan 2 assists. Team Bayer Leverkusen is located in the middle of the table. (3 place). In 5 last games (league + cup) Bayer Leverkusen get 0 points.